Grand Duchess Olga Nikolaevna of Russia was the Tsar Nicholas II and Tsarina Alexandra of Russia’s oldest child, born in 1895 and murdered alongside the rest of her family in 1918. Throughout her lifetime, her future marriage was a subject often talked about and speculated in the press. However, Olga did not want to marry a prince like many were expecting her to, and instead wanted to stay in Russia. She was known to have many crushes as a girl, especially with the officers she met while working as a nurse during World War I. Unlike her younger sister Tatiana, she ended up having to stop nursing due to poor health. On November 15, 1895, Olga Nikolaevna Romanova was born, the first child and daughter of the newly married Emperor and Empress of Russia at Alexander Palace in Tsarskoye Selo (“Tsar’s Town”) near St. Petersburg. The whole of Russia had been hoping for a son to be the Tsar’s heir, though Nicholas and Alexandra were very happy when she was born. Her great-grandmother Queen Victoria was one of her godparents. Her title translates to “Grand Duchess” and more precisely, “Grand Princess”. “A day I will remember forever… at exactly 9 o’clock a baby’s cry was heard and we all breathed a sigh of relief! With prayer we named the daughter sent to us by God ‘Olga’!” – Tsar Nicholas II. When Olga was just a baby, her family made a trip to England to visit with Queen Victoria, her mother’s grandmother. Alexandra had always been one of her grandmother’s favorites and Olga was the only one of the Imperial children to meet their great-grandmother, though she had no recollection of it because she was so young. On June 10, 1897, Olga’s first younger sibling was born, Grand Duchess Tatiana. Then in 1899, Grand Duchess Maria was born, yet another daughter for the Emperor and Empress and nation waiting for the birth of a son to be heir. Olga and her family were preparing to head to the seaside town on the Gulf of Finland, Peterhof, when she became ill with typhoid fever. For five very long weeks, young grand duchess, only six at the time, suffered from the terrible illness. Many began to fear that she would not recover, but she finally, and fortunately, was able to. When her youngest sister, Grand Duchess Anastasia, was born in June of 1901. Still stuck in bed, little Olga was sad that she was unable to attend what would be her first “official” ceremony, Anastasia’s baptism. Both Nicholas and Alexandra were very devoted to their children. They tried to provide them with the most “normal” possible lives for them. They grew up celebrating Russian Orthodox like Christmas, where they would decorate the fir trees and exchange gifts. Their Irish governess, Margareta Eager, would go on to recall a particular Christmas with them when all the girls were so delighted to see their mother in beautiful attire for a ceremony. All in admiration of their mother, they circled around her. “Oh! Mama, you are just like a lovely Christmas tree!” Olga had exclaimed as she clapped her hands together. 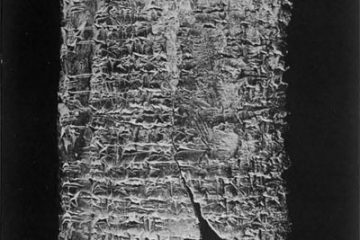 The children also handmade birthday and Christmas gifts that were generally needlework. Another Christmas, Olga had insisted to Mrs. Eager that she make a kettle-holder for her father. Although, Mrs. Eager tried to convince her not to. Olga was very proud of the creation, which had a little girl singing on a fire embroidered around a blue frame. 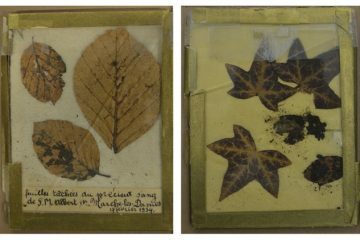 She told her father that their governess said it may not be of much use to him, but he could always use it as a placemat or just hang it from his wall to see the pretty frame she had made around it. Alexandra also insisted that her daughters be raised very simply, sleeping on hard cots and given cold baths. The servants were instructed to call them by their names and patronyms and not their Imperial titles. The Tsarina paired off her daughters, too. Olga and Tatiana known as “The Big Pair”, and Maria and Anastasia, “The Little Pair”. The pairs were usually dressed the same and shared a room. As a young girl, Olga was known to be very compassionate and willing to help others, but at times, she could have quite a temper and be very moody and blunt. Once while she was posing for a portrait, she grew impatient, telling the man that he was ugly and she did not like him. Mrs. Eager had been worried when the young Grand Duchess ordered for the servants to prepare her the most beautiful carriage for her daily drive. She was very relieved to see Olga’s requests had not been met. When the children and their friends were shown a cinematograph, a similar incident happened. In the film, two little girls were playing when the older one took a toy from the younger, refusing to give it to the older. The older girl then began to pound her with the spoon and she gave it up to her. While Tatiana cried at the terrible treatment of the little girl, Olga sympathized with the older, saying that it most likely belonged to her and she just wanted it back from the little one. In 1904, to the relief of everyone, the Tsarina finally gave birth to an heir, Alexei Nikolaevich, Tsarevich of Russia. Olga was very excited to take place in her first grand ceremony, especially as her little brother’s godmother. 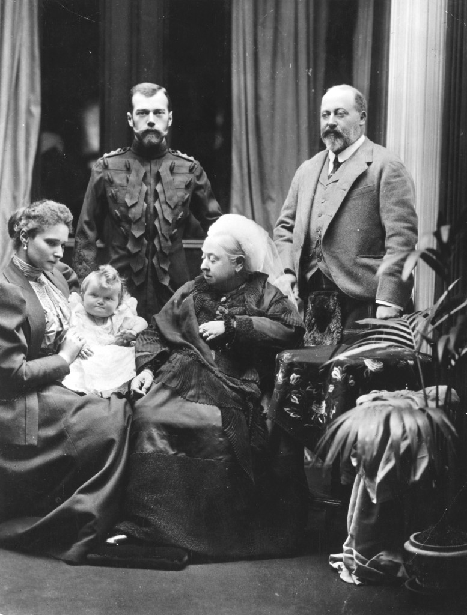 The entire family was devastated to learn that he was born with hemophilia, inherited from his mother, whose mother had gotten it from Queen Victoria. They tried to keep his condition as much as a secret as possible. Because of it, the family, which was already extremely close, grew even more so. All the girls doted on him and were very protective. 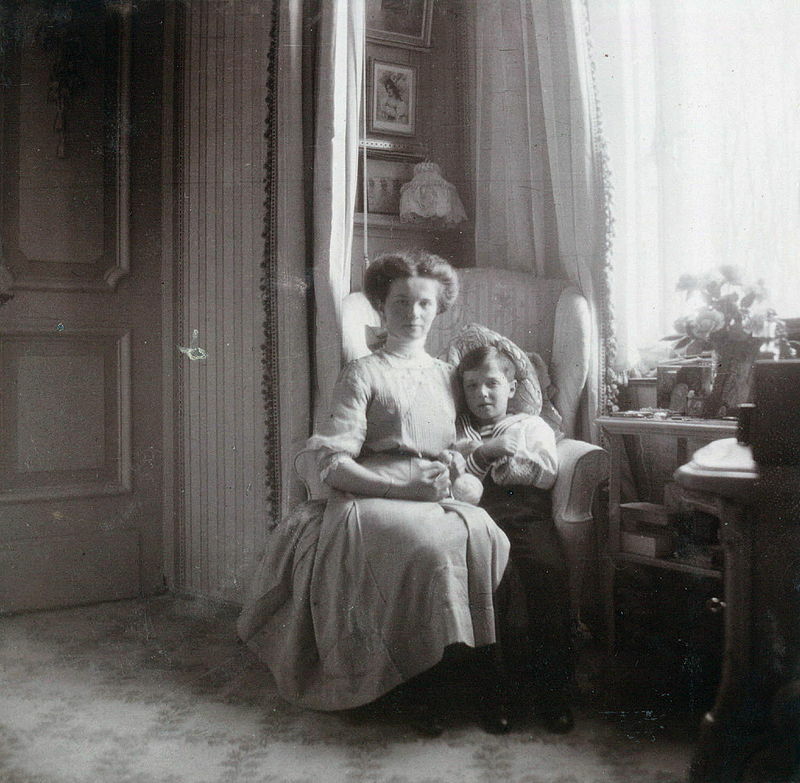 The Tsar and Tsarina, the latter especially, grew very anxious over their son. Alexandra felt responsible for giving her son the condition, and it also took even more of a toll on her already poor health. Earlier that year, the Russo-Japanese war had broken out, Olga only eight years old. The four little girls, including Anastasia, only three at the time, were working very hard to knit scarves for the soldiers. Olga and Tatiana also made crocheted caps. “I hope the Russian soldiers will kill all the Japanese;not leave even one alive,” Olga had said to Mrs. Eager one day suddenly, much to Eager’s surprise. She made sure to explain to their children that just like them, the Japanese were people. There were many innocent women and children in their country and people unable to fight. Olga listened and reflected on this, asking after a moment if the Japanese also had an emperor, which they did. She asked a few more questions, before realizing that the Japanese were not very different from then. After that one conversation, the Grand Duchess never made another comment about being pleased about the Japanese dying. Olga’s began reading and her favorite stories were those about European history in the medieval times. Olga was terribly shocked when, according to Mrs. Eager, read the story about the Welsh Prince Llewellyn’s execution. She said to her governess, “It was a good thing he was dead before they cut off his head; it would have hurt him most awfully if he was alive.” to which Mrs. Eager responded by explaining that most people were not so lucky and they were beheaded while still alive. “I really think people are much better now than they used to be. I’m very glad I live know when people are so kind,” was little Olga’s response. Growing older, Olga enjoyed reading even more so, and she read about politics as well as newspapers. Sometimes she would take books from her mother’s shelves. When the Tsarina would catch her taking books even she had yet to read, Olga would jokingly say that she wanted to make sure the books were appropriate for her mother to read first. Olga was very sympathetic for her mother, whose poor health often left her confined to her bed. The older she got, the more the eldest daughter felt it was more her duty to perform the duties the consort of the Tsar would. It is shown through her diaries that she loved her parents both dearly, though was closer with her father, and most likely the closest in the family with him. She shared the enjoyment of long walks in Tsarskoe Selo’s parks with her father. Olga dreamed of one day living in a small village because she preferred nature over the city. The grand duchess, along with all her family, looked forward to the family’s annual trip to the Crimea as well and holidays in Finland and Poland sailing on the Standart, the imperial yacht. The Imperial children were all very interested in how others lived their lives and the problems they faced. She insisted on becoming the “patron” of a disable girl she had once meet in Tsarskoe Selo. Olga made sure that their were arrangements in place for the child to go to a hospital. The young Grand Duchess insisted on paying for the money for the girl’s hospital stay with her own allowance. Money was also a thing the Tsar’s children had little knowledge of. That same year, she had been at the Kiev Opera House with her father Tatiana when they left the box, only to return to see that Pyotr Stolypin, the government minister, had been shot and was on death’s bed. Olga came of age when she turned sixteen on November 15, 1911. The family was staying at Livadia at their palace in the Crimea where a grand dinner and gala was held in her honour. Olga wore a beautiful pink dress and was smiling so happily and excitedly, her hair done up in a chignon for the first time instead of down. After a grand dinner, Olga and her sisters danced the night away, though their mother was unable to attend the whole party due to her ill health, which made it hard for her to walk. By her diaries, it is obvious Olga had many teenage crushes and was a romantic girl, though unlike her sister Maria, rarely spoke of marriage and family. She had no desire to marry a foreign prince, though when she turned eighteen, many began considering marrying her to the Grand Duke Dimitri (her cousin), Prince Arthur of Connaught, and the Duke of Leuchtenberg. Even Edward, Prince of Wales was considered, but very briefly. 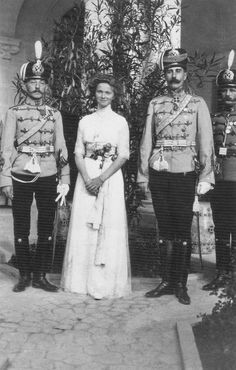 However the main candidate was Prince Carol of Romania. His family came to visit Russia and many people were waiting for them to announce his engagement to Olga, but it never came. Alexandra and Nicholas believed their daughter should not marry unless she accepted the match, and her and Carol did not get along very well. it was evident by the end of the trip, that the two were not going to marry. The following summer, their parents tried again and the Russian Imperial family sailed to Constanza, Romania. Olga was able to figure out why they were making the journey, and she and her sisters purposely spent long days out in the sun with no hats to burn their faces so they looked less attractive. Once again, Olga and Carol did not get along so well and it was clear they were not the best match. Eventually, both families gave up on the thought of marrying Olga off to Carol. The Great War soon began as well, and all talks of marriage were put off. 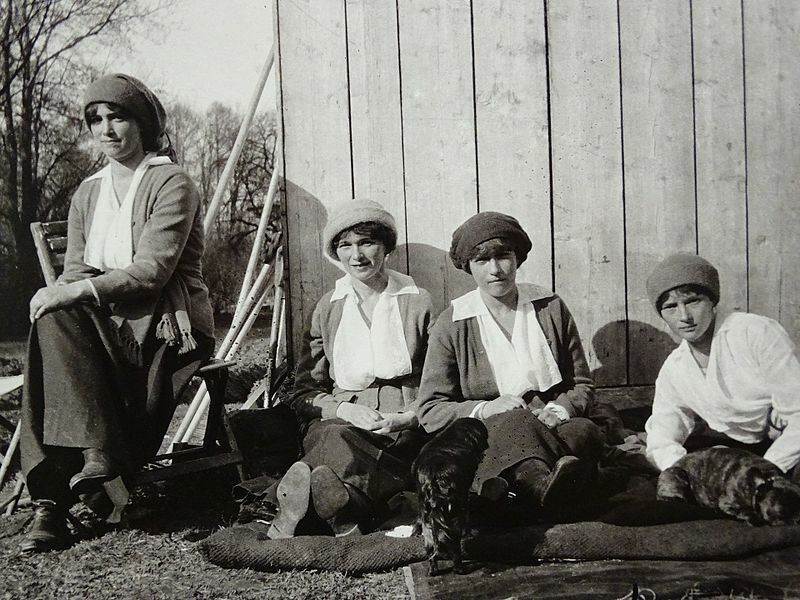 With the break out of the war, Olga and Tatiana joined their mother and began training as red cross nurses, or “Sisters of Mercy”, as they were called. 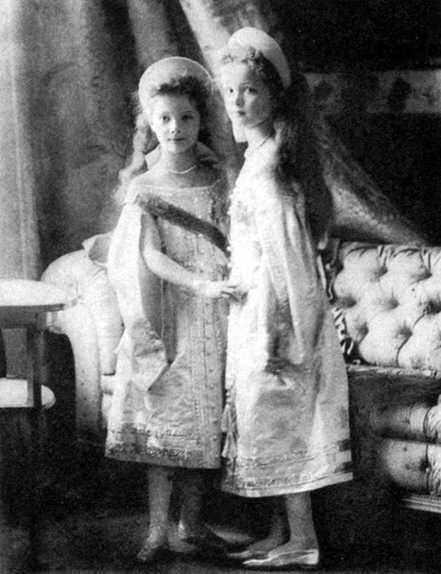 This only strengthened the very close bond that the two eldest Romanov sisters shared. 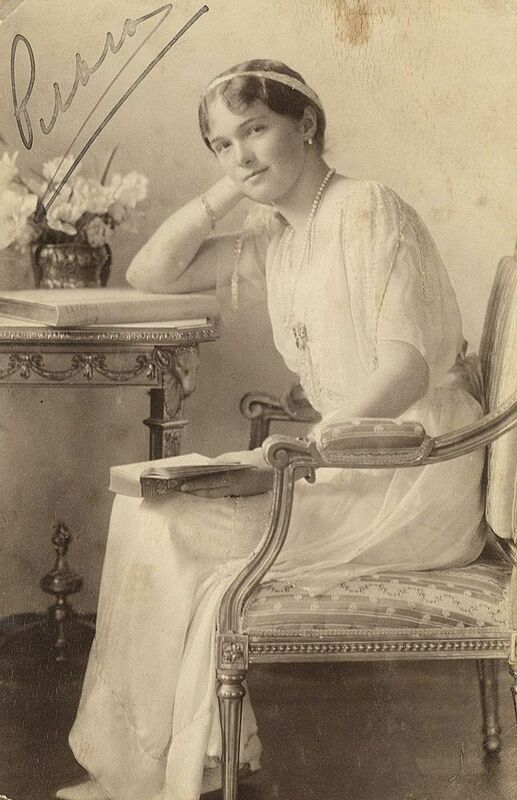 From August of 1914 and until she no longer worked as a nurse, Olga’s diary was filled with her thoughts and experiences at the infirmary in Tsarskoe Selo that had been set up at the Catherine Palace. 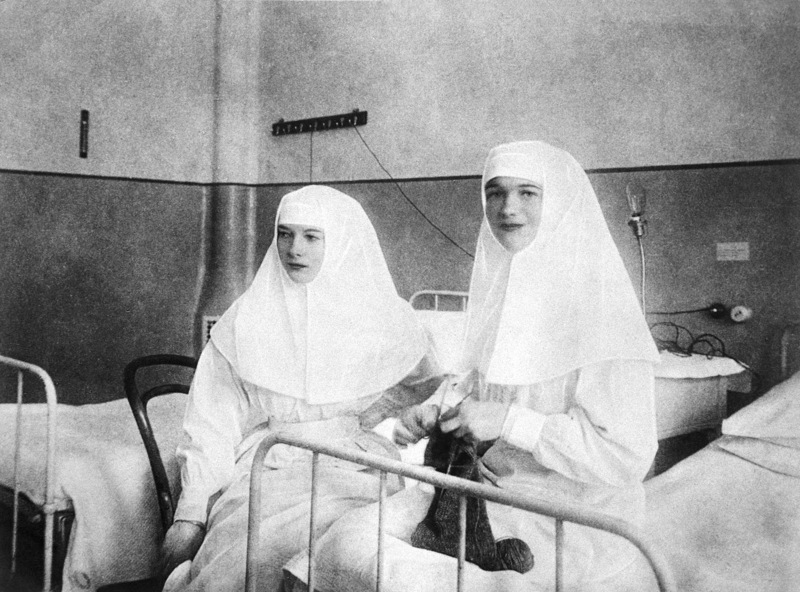 Tatiana and Olga nursed at the same infirmary, which was considered to be their own. The younger sisters also had their own hospital, but were not old enough to become nurses and instead spent their days just visiting the wounded soldiers. During this time, Olga also had a few crushes on the soldiers she met. Earlier in 1913, she had developed a crush on one of the Standrart’s junior officers, Pavel Voronov. The marriage could never be, and he ended up marrying someone else.She met Dmitri Chack-Bagov during the war, and called him “Mitya”. Valentina Chebotareva was a woman who nursed alongside Olga and wrote in her diary that Olga’s love for her Mitya was “pure, naive, without hope.” The two regularly spoke on the telephone and she spent her time not nursing at the hospital with him. Olga was very sad when he left the hospital, but was soon ack. Chakh-Bagov adored the grand Duchess and felt it his duty to protect her, saying if she gave the word, he would even kill Grigory Rasputin for her. He reportedly, however, would show the other patients at the hospital her letters when he was drunk. Other wounded soldiers had crushes on Olga as well, but she only showed that much affection to her Mitya. Meanwhile, Tatiana found herself falling in love as well, and the two pairs spent much of their time together. Olga and Tatiana were close with the fellow nurses as well and were grateful for the friendships they shared with them. On one instance coming home from the hospital, they stopped at a shopping district, but the two realized they had no clue how to go about purchasing things. The following day, they asked Chebotareva how they were supposed to go about buying things at the stores. According to some though, the girls received allowances of nine dollars a month to spend on perfumes, notepaper, and more. Olga and Tatiana had been shopping before, with their Aunt Olga Alexandrovna and when on a trip to Germany. Eventually, the stress of caring for the wounded soldiers and being there during the operations took its toll on Olga. Unlike her older sister, Tatiana enjoyed nursing and was very devoted to it. But Olga grew to be moody and unwell. She broke a window with her umbrella one day in 1915 and later destroyed items in a cloak room while very angry. 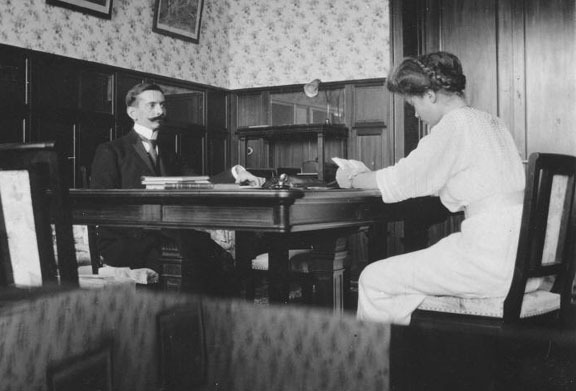 Because operating was so hard for her, she was instead assigned to office work on October 19, 1915. Like her mother, she also began taking arsenic injections that month, which was supposed to help with her moods. Alexandra had come to rely heavily on Grigori Rasputin, a peasant said to have healing powers. Somehow, he was always able to cure Alexei when he was sick with haemophilic attacks. Olga had been very close to him as a young girl, but as she grew older, seemed to be more wary of him. Her cousin Grand Duke Dmitri Pavlovich of Russia had assisted Felix Yussupov, her cousin’s husband, in the murder of Rasputin in late 1916. When the Grand Duchesses received the news of his death, they were all very distraught. Alexandra and her daughters buried Rasputin and the five signed an icon on the reverse side. Reportedly, Olga was the only family member not present. Olga later said to fellow nurse Chebotareva that she knew his murder was necessary, especially with all the influence he had over her parents, but was ashamed that his killers had been her family and ha done it in such a terrible way. After the Romanovs were murdered, it was found that all the the sisters wore amulets around their necks with the image of Rasputin. When the Russian Revolution broke out in 1917, Olga, Tatiana, and Alexei were all sick in bed with measles and kept in the dark. Their father was off due to the war. Maria and Anastasia later became sick, but were the only ones who knew all the events of the revolution of the children, as their mother believed it best to wait until the last possible moment to tell the sick children. Their father soon abdicated for himself and on behalf of his son, which Alexandra and Maria were distraught about (by this time, Anastasia had also become ill). Olga and the other children were soon told as well, but took it surprising well. Olga tried to do whatever possible to comfort her mother. 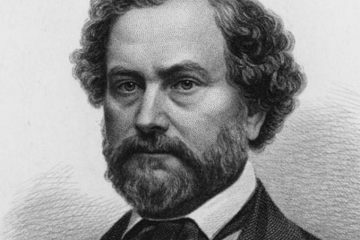 Nicholas soon returned and the family was put under house arrest. Many who were still loyal to the family were removed from the palace before the family was taken to Yekaterinburg in April of 1918. 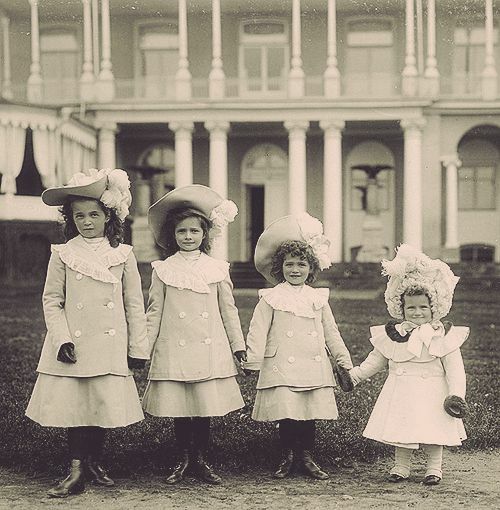 While Nicholas and Alexandra were taken to Yekaterinburg with Maria, the other four children remained in Tsarskoe Selo. This was due to Alexei having had a recent attack of hemophilia. “Olga’s spirits were too low,” Alexandra said as the reason why she took Maria. Also because Tatiana was the best fit to look after Alexei. 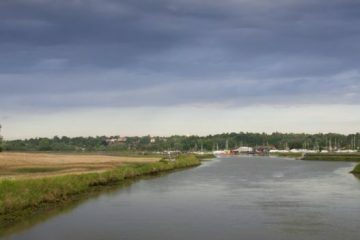 That may, the rest of the children and their servants were ferried from Tobolsk to Yekaterinburg. The sisters had all sewed jewels into their clothes before their departure to try and hide them from the Bolsheviks. Alexandra had told them that their belongings had been confiscated after aggressive searching upon their arrival in Yekaterinburg. Olga became even more distressed on the ship when she saw a guard injure his foot. She insisted she look at it after working as a nurse, but the man refused. In Yekaterinburg, the family was kept in captivity in the Ipatiev House. Olga and her sisters learned how to make bread and do their own laundry as they took turns taking care of their mother and cheering up Alexei. Olga was said to be very depressed, looking worse and worse and losing more weight before her death. 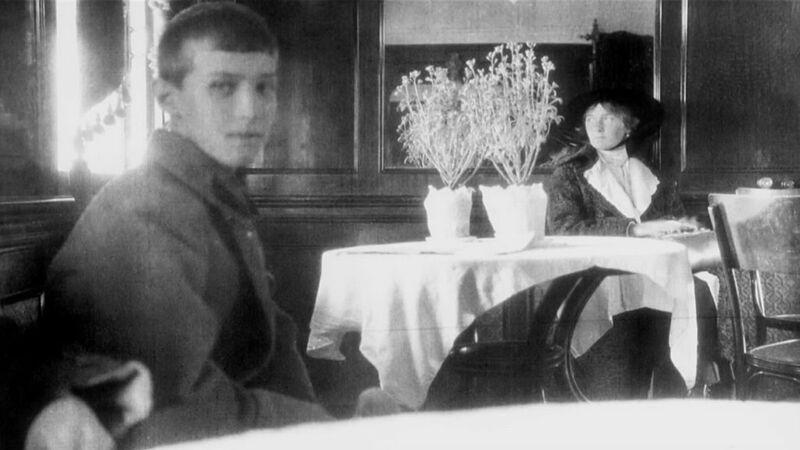 According to the guard Alexander Strekotin, “She took few walks in the garden, and spent most of her time with her brother.” Olga occasionally would walk outside during which, according to another guard, she would stand there “gazing sadly into the distance, making it easy to read her emotions.” At one point, she was cross with Maria for being too friendly with one of the guards. When a new command was installed in June, the family was forbidden to go near them and their rules grew even stricter. Local priests came on July 14, 1918 to conduct a private church ceremony for Olga and her family. The next day, the eldest daughter seemed to be much happier, as she and her sisters were all in good spirits and joking around as they moved their beds for women coming into scrub the floors. When the guards weren’t looking, Olga and her sisters got down on their hands and knees to help the women and even whisper to them. The former Grand Duchesses, their hair short and wearing plain clothes from the day before, told the women that they wished there was more they could do at the house, but Olga was reported to look sickly that day. That evening during dinner, it was announced that the family’s kitchen boy and Alexei’s new friend, Leonid Sednev, was to gather his belongings to leave with his family. This was because they were preparing to murder the Romanovs and did not want the fourteen year old boy to go with them. The family was very sad when he left since he had been such a great friend for Alexei. The former Tsarevich’s doctor, Dr. Botkin, and Tatiana went to to the office of Yakov Yurovsky, the head of the detachment, to ask for the return of the boy. Yurovsky tried, but failed, to convince them the boy would return soon. Later on the night of July 16, 1918, the family was woken up and told to go downstairs to the lower level of the house. They were told that they were going to be moved due to unrest in Yekaterinburg. So, Olga and her family went into the basement with their pillow and bags, along with other items to ensure that Alexandra and Alexei, who were both not feeling well, comfortable. While the family asked questions, it appeared none of them knew of what was to happen. Yurovsky told the family to take different positions as if they were to have their photos taken and others got chairs for Alexandra and Alexei. Nicholas was beside his son, who was to his mother’s right, with Dr. Botkin on the right of Nicholas. Olga, Tatiana, Maria, and Anastasia stood behind their mother with the servants. For about half an hour, they were left standing this way as the officers finished preparing to murder the family. Alexandra whispered to her daughters in English, which was forbidden as they had earlier been ordered only to speak Russian. When Yurovsky returned, he ordered everyone to stand and began to read the sentence of execution. Olga and her mother both tried to make the sign of the cross, everyone muttering a few sounds before the firing squad began to fire in the early hours of July 17. Initially, only Nicholas, Alexandra, and two servants were killed and Maria had been injured. After a few minutes, the gunmen returned. Due to jewels sewed into their clothes, one gunman was able to kill Alexei after shooting him many times. He was eventually killed with two shots to the head. Olga and Tatiana were screaming for their mother while crouched in the back of the room. Both women were stabbed many times with bayonets, but once again, because of the jewels, the stabs did nothing to them. A they tried to stand, Tatiana was killed when she was shot in the back of the head and twenty-two year old Olga died a moment later with a shot to the jaw. During this time, the other two grand duchesses, Anastasia and Maria, were also shot and killed. 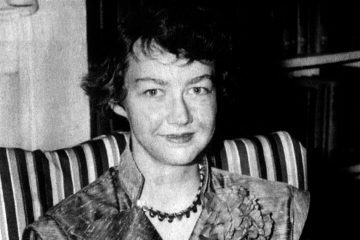 After their executions, may claimed to be members of the family who survived that night. Marga Boodts, a woman from Italy, claimed to be Olga and also said the former kaiser Wilhelm II and the Pope supported her, but historians today do not believe her claims because Olga died that night with her family. All these claims came to be disproven later on when the graves of the family were found and DNA tests were done to confirm the remains belonged to the Tsar and his family. Two bodies were missing, thought to be those of either Maria or Anastasia’s and Alexei’s, but found in 2007, so there is no way anyone could have escaped that night.